Ola Olabanjo, a first class student of the Lagos State University (LASU), has won the Best Bachelor of Science, Computer Science Students’ Projects Award for Tertiary Institutions in Lagos State. Olabanjo was of the Computer Science Department in the institution. Prof. Benjamin Aribisala, Head, Computer Science Department of LASU, made the disclosure to the News Agency of Nigeria (NAN) on Monday in Lagos. He said that the award was sponsored by a former Minister of Petroleum, Chief Don Etiebet. Aribisala said the contestants were tested on the project, “Design and Implementation of Administrative E-memo for Tertiary Institutions -A case study of Lagos State University’’. He said that Olabanjo’s final year project was the only one among others submitted by the department for the award. According to Aribisala, Olabanjo made a first class grade with a Cumulative Grade Point (CGP) of 4.60. He said Olabanjo was the first student to make first class in the department, after eight years of existence. Aribisala said‎ that Olabanjo’s selection was approved by the university’s Senate, adding that he is the overall best student in the university. “Olabanjo received a prize of N150,000, a plaque, certificate for his ‎effort which was presented to him at the Annual Conference of Nigeria Computer Society (NCS). 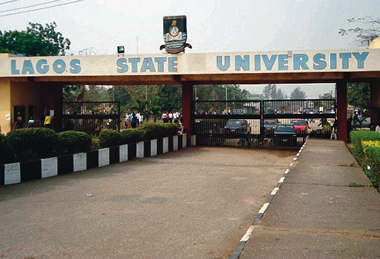 Since the inception of the award, this is the first time LASU participated in it,’’ he said. According to him, the software, E-memo will be useful for any organisation to communicate electronically. “It is the first software developed at the department, it will be tested at faculties levels and thereafter forwarded to the University Management,’’ Aribisala said. NAN reports that ‎two students of the University of Lagos (UNILAG), Akoka, came second and third respectively.